Carry Case for Regin S220 Smoke Pen FREE SHIPPING! Handy zippered carry case for the Regin S220 Smoke Pen. This professional-looking, heavy-duty pouch is the perfect size for holding a Smoke Pen or two, a couple packs of wicks, the instruction sheet, and your lighter or matches. Carry case tucks away conveniently in your tool box. 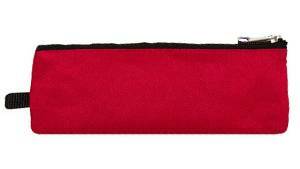 The case measures 8.25" x 3", is made from strong 600d polyester and has a sturdy zipper. Ships one of three colors: Red, Navy, or Grey. Leave us a note with your color preference at checkout and we'll do our best to ship the color of your choice. Case only. Order S220 Smoke Pen and S221 Refill Wicks separately, below.